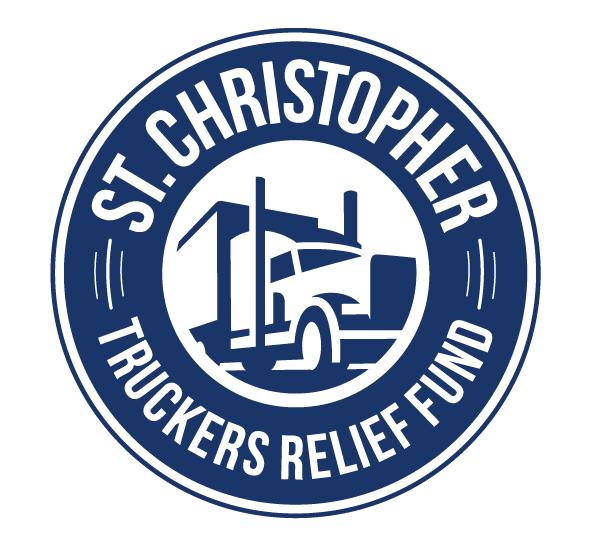 Yoga For Truckers – Yes, You CAN Do it! Yoga and fitness for everyone else, but nothing truly for truckers. A hard life, filled with constant struggles, but that doesn’t mean these road warriors don’t want to be fit and healthy. A whopping 3.5 million [http://www.trucking.org/News_and_Information_Reports_Industry_Data.aspx] road warriors call a truck their home. And with that comes health hurdles anyone who lives on the road can understand. Things like eating healthy, finding time and space for exercise (not to mention quality instruction), back pain, hip pain, neck, shoulder and wrist pain. Sleep issues, focus and concentration challenges and on top of that, fatigue. Ask anyone who lives on the road and they will tell you taking 60, even 30 minutes out to exercise, let alone figure out where to exercise, is easier said than done. Now add in your living space and workout space being the cab of your truck, and you got yourself a real fitness dilemma. So many drivers feel they are just spinning their wheels, with real pains from long-term sitting, sitting that you cannot just get up every 15 minutes from and stretch, walk around, and “move around”. Leaving them with chronic back pain, hip pain, and shoulder issues, are just the tip of the ice berg. So, what’s a tucker to do? Here are 3 NEED TO KNOW yoga stretches every trucker (or over the road traveler) needs to be doing every single day. Because what if one move could make all the difference? Road Rage Wrist Stretches:Death gripping the steering wheel is a truck drivers computer mouse. 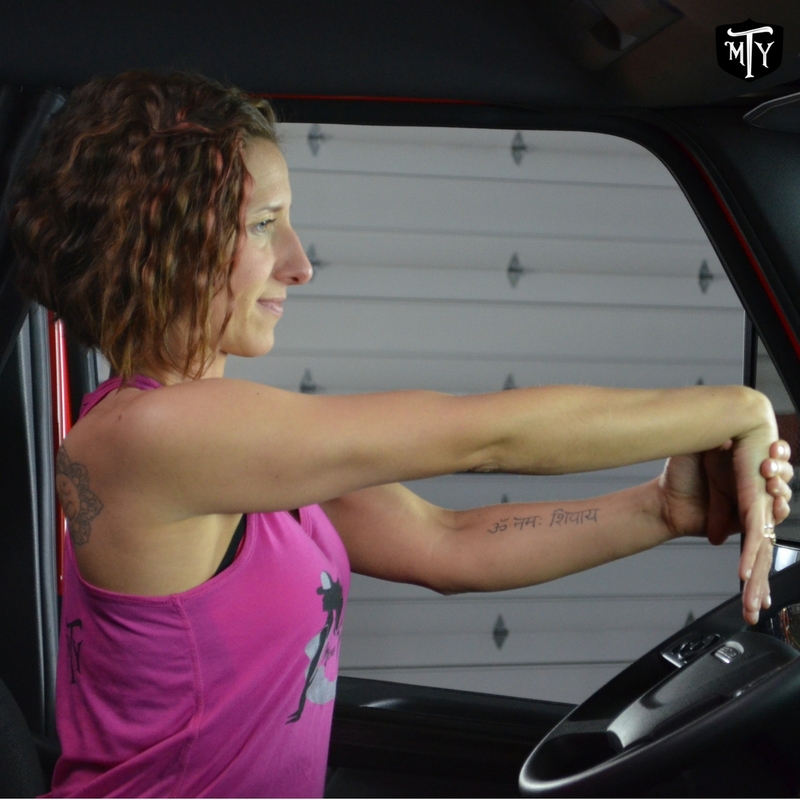 Combat wrist, forearm and elbow pain with a quick traffic jam wrist revival. Try to hold each stretch for a minimum of 30 seconds or until the tension dissipates. (TIP: work to keep the fold of the elbow facing upward when stretching the wrist). Twist It Out Back Pain Revitalization: Our spines are made to twist more than shout, combat chronic back pain with a few more twists added into your long haul. While driving we tend to do more rotation to the left due to lane changes, so try to be conscious of supplementing that movement with a twist the other way. When twisting focus in where your body doesn’t twist and try to rotate there. Don’t force the body, but rather ease into the twist like going up in an elevator bottom to top of the spine. Remember to show your spine some love every moment you can get. Hip Helpers-Sciatica Soother:After a long day in the drivers’ seat and that pesky hip pain still angry, find some space to sit (with room in front of you) and cross one ankle over the opposite knee, flex the foot and with a long spine work to hinge forward. Just go as far as you feel a good stretch on the outer hip of the crossed leg and lower back. Hold this stretch until the sensation settles. When your home is the road and your tiny house on wheels goes wherever you go, getting to class, quickly goes out the window. And considering the average age of a trucker is 55, and most in trucking struggle with bad backs and knees leaves things like running around the truck, push-ups, and high intensity training around the truck, virtually impossible and unrealistic. I believe that one stretch, or one pose is yoga. And when you focus on the little things, they eventually turn into big results. And when the moves you choose to add into your day, are packed with purpose. You now can begin to restore the body. That means you, the trucker, gets to keep doing what you love… Driving truck…Except now…with a lot less pain. Ya,stretching helps,I also use hand grips,l push on my body with them it seems to help relieve some stress, I’m 61yrs old or young!